Snoopy and Lucy engage in some friendly competition in this charming comic strip design featuring the iconic characters from Charles Schultz's Peanuts and the signature artistry of Jim Shore. 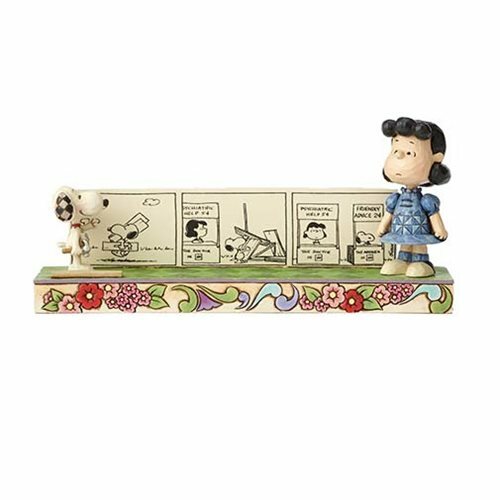 The Peanuts Jim Shore Snoopy and Lucy Comic Strip Statue is made of stone resin. Measures about 7 3/4-inches long x 3 1/2-inches tall x 2-inches wide.